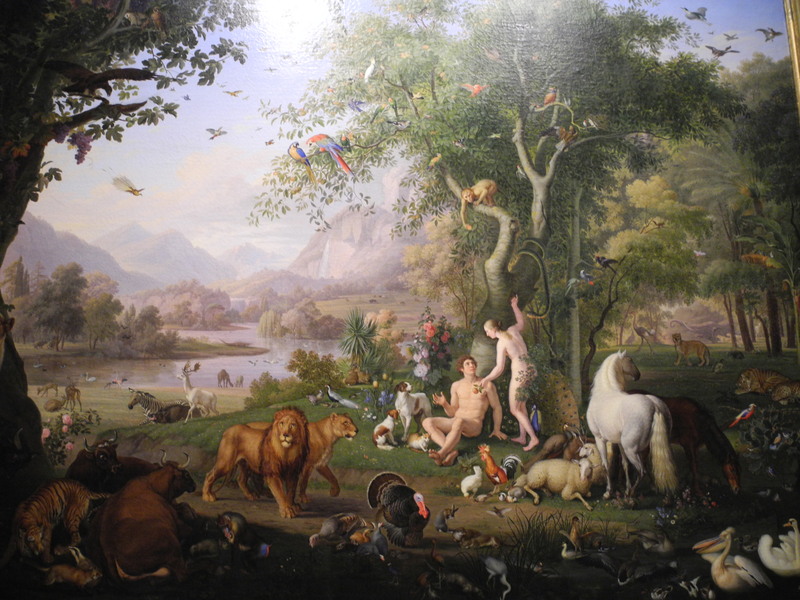 God commanded Adam and Eve not to eat from the tree of the knowledge of good and evil (Gen. 2:17). How long had they kept that command before the fall? No one can say. Here’s what we can say: neither keeping the command nor breaking the command led to eating from the tree of life. The tree of life showed a way in which commandments had no bearing or use. God always intended something more than Eden. Christ is that “more.” Christ is life (Col. 3:4). In Him we come to the tree of life. We take hold of fruit which surpasses Eden. We embrace a Life for whom commandments have no bearing. “For if a law had been given that was able to give life, then righteousness would certainly be by the law” (Gal. 3:21). Commandments never lead to life, and life needs no commandments (Gal. 5:23). This begs the question: Why not start with Christ? Why start with less? In reference to resurrection, Paul says, “the spiritual is not first, but the natural, then the spiritual” (1 Cor. 15:46). This is a spiritual law. It applies to everything, not just bodily resurrection. God never starts with the thing to be. He starts with a seed. Unless that seed falls in the ground and dies it remains alone; if it dies, it brings forth fruit (John 12:24). Eden was a natural seed preceding the spiritual harvest in Christ. The first creation was the seed of the new creation. Natural man was the seed of spiritual Man. Christ died on the cross as the seed of everything natural and first. He raised as the fruit of everything spiritual and second. Note that, in one aspect, this has nothing to do with sin or the fall. Eden wasn’t Christ. It wasn’t God’s full intention. Even if the fall hadn’t happened, the first/natural is a seed. A seed’s purpose is to be sown. To represent the first/natural, Christ would still have had to draw all things into Himself; He still would have undergone some type of sowing/death. To participate in Him is to participate in death and resurrection, sowing and reaping. It so happens that sin is dealt with through death and resurrection. Sin is covered as a byproduct. But to reach God’s full intention, Eden had to be sown, fall or no fall. As a seed it was perfect and complete. But it could not be a harvest. Only Christ could be that.